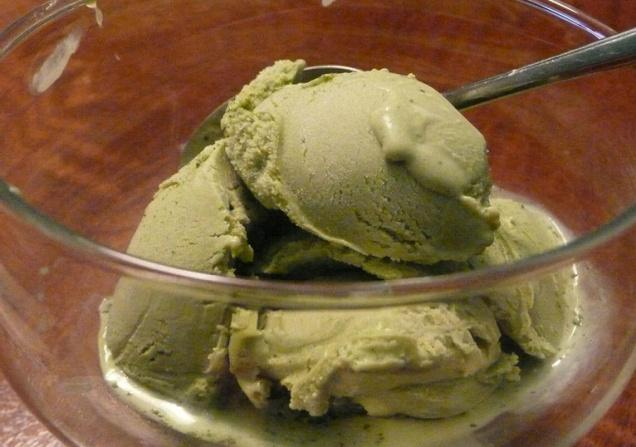 Mellow Monk's Green Tea Blog: Green tea ice cream—from scratch! The Hindu gives us a simple recipe for scrumptious green tea ice cream. The recipe appears in the 2nd half of the article, so if you do not see it above the fold, do not despair — simply scroll down a bit. Trust me — it's worth it! This recipe calls for matcha, and although our own is currently sold out, the grower has shipped more, so we will be restocked soon. This home-made ice cream looks blissfully yummy.